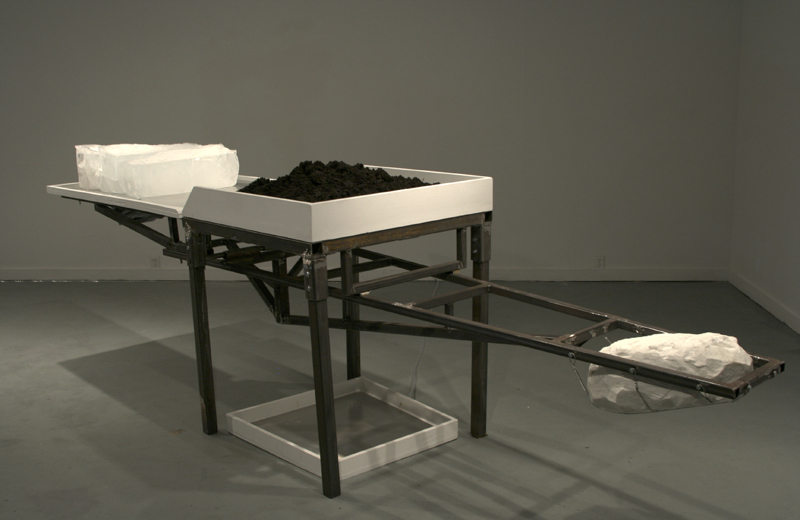 This piece utilizes ice and a levered table in order to create a temporal and kinetic sculpture. When the ice melts and decreases in weight, the marble counterweight increases the angle of the table that the ice rests on. 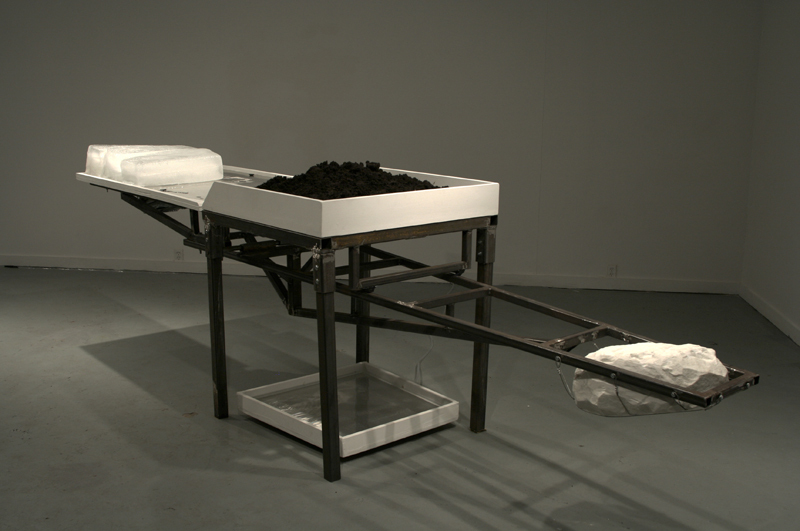 Eventually, this causes the ice to slide onto the middle table and smash into the soil situated on top. 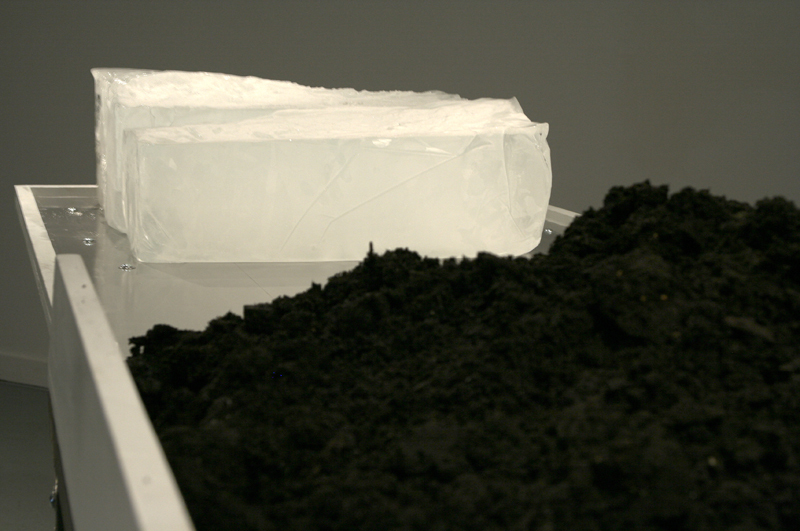 View of the soil and ice. 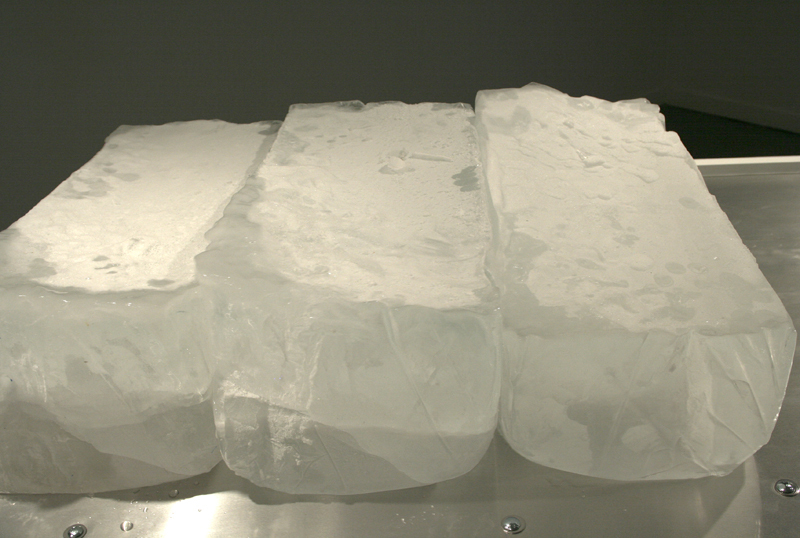 Detail of 250lb's of ice, which I cast myself. The melting process under way. 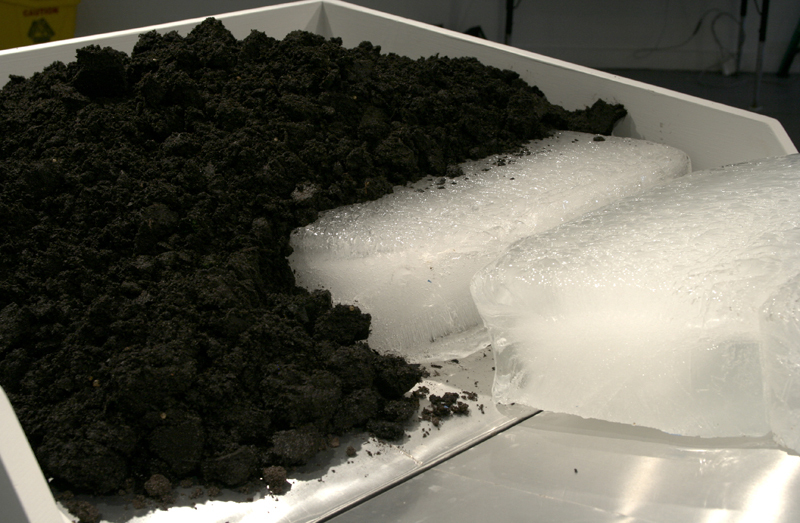 Here the ice has slid into the soil creating a small moraine.